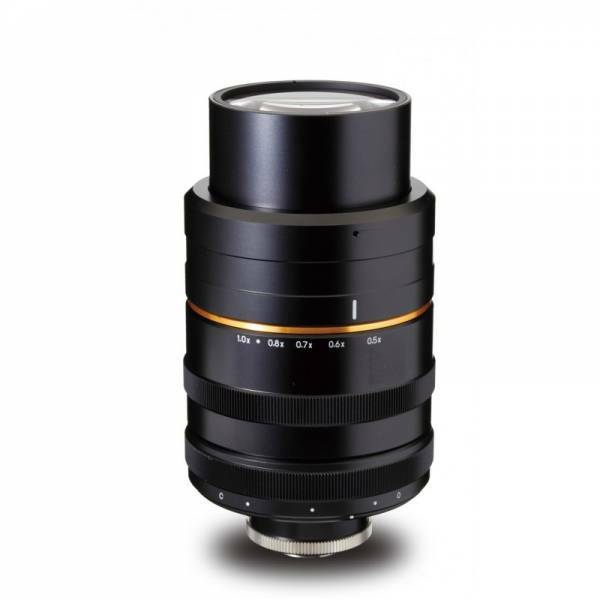 Informations sur le produit "LM1119TC"
Kowa's LM1119TC is telecentric from 0.5× – 1.0× magnification and able to resolve up to 21 megapixel for up to 4/3" image sensors. All new telecentric lenses have very low distortion. They produce high contrast and resolution in both center and corners. In a telecentric optical system, there is no change in magnification when focusing, and magnification is constant over working distances. Thus movement of an object does not change magnification. Therefore, it is suitable for measuring objects with high accuracy.